The Equestrian Club of Bridgewater College will host the 11th annual “Horses’ Christmas” at the Bridgewater College Equestrian Center in Weyers Cave, on Sunday, Dec. 2, at 1 p.m. The BCEC is located off of U.S. 11 on Burketown Road, between Weyers Cave and Mount Crawford. All elementary and pre-school students in the community and their families are invited to the presentation, which will feature horses dressed in seasonal garb and skits that are focused on Pixar movies. At the conclusion of the program, Santa and Mrs. Claus will make a special appearance on horseback. 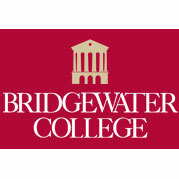 Jerry Schurink, Bridgewater College’s director of riding and coach of the Bridgewater riding team, will narrate the events. Awards will be presented to the best costumed entries. Kids will be allowed to reward the horses with a tasty treat following the competition. “This event provides an excellent outreach opportunity for the equestrian club and a fun activity for children in the local community,” said Schurink. In lieu of an admission charge, the equestrian club requests donations of canned goods for a local charity. For further information, call Beth R. Boteler, assistant to the director of riding and riding club adviser, at (540) 223-2437.